The Petcube Play Camera is an IP camera designed for checking up on your cats at home. This camera is unique in that you can communicate with them through two-way audio and you are able to interact and play with them using a laser toy. 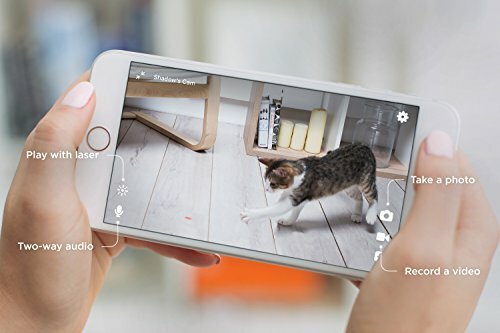 The Petcube Play Wi-Fi Pet Camera is meant for pet owners and their pets that want to keep control over their furry animals back at home when away and be able to see, hear and play with them. While it can be used for most animals, I would consider this gadget is mostly used by owners of cats and dogs. We’ve always longed to be able to check out our cats while we are on a long trip or a holiday. We surely do have people taking care of our pets back at home, but they do not come in more than once a day or once every three days. As a pet parent you often want to check more often how your pets are doing, mainly because you miss them terribly much. This camera with extra functionality offers everything you could ever wish for as a pet parent. We’ve had several security type camera’s installed in our house before, so we could keep an eye on our lovely cats when we are abroad or just on a job. The more expensive camera’s have night vision and some allow you to control the view, none of them actually had interaction with your pet. The Petcube Play offers more interaction with your pet. The view of this camera is on one position, but you can position the camera well enough with the accompanied tripod. Our experience with this device was that you can now interact with your pet back at home both through the two-way audio feature as well as the laser toy, which our cats simply love. 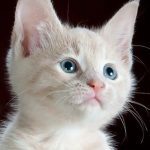 Even when your connection is bad, you can still check out stored recordings in the cloud of what has happened with your pets while you are away and the autoplay feature of the laser makes sure that your cats are entertained. The Petcube Play made our cats happier by being able to still interact and play with us while we felt happier knowing that our cats were alright back at home. 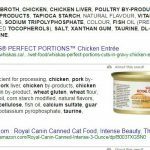 Gone are the days where we worry about whether our cats are getting access to food or are doing overall well or not, now we can check them out any time of the day! First and foremost you want to SEE your dear pet back at home. Whether you are on a big trip or just to work, we pet parents are always worried about what happens back at home. Is he or she asleep or howling (dog) or meowing (cat) through the neighbourhood. With the Petcube Play you will know, because you will get direct access to the 1080p HD camera that is built-in to this device. Okay it isn’t for sure you will see your pet, because pets are excellent in hiding or not being in the place where your camera is placed, but it is at least not the camera’s fault for 1080p HD will give you a crystal clear picture. Even if it’s dark at night it is neither a problem for this cube, as the camera has night vision installed, which gives a greyscale HD view of where your pet is positioned. Being able to hear your own pet back at home is already a big relieve for pet owners but this Petcube also offers you to talk back to your pet. I felt this was one of the most awesome features, while also cruel in one way, because your pet keeps wondering where that noise of their favourite person is coming from. This poses the risk for them possibly attacking the box where the sound is coming from. The Petcube Play makes use of a storage place in the cloud for easier access to the cube. With all the different internet networks it is impossible to guarantee full access to a camera with a direct connection, so the Petcube makes handy use of cloud services where you can simply access everything through a website. Standard you get 4 hours free storage with the Petcube, but if you have need for more surveillance over your pets, you can get a paid subscription to store 24/7 video feed information. The most awesome part of this device is for me the Built-in laser toy. Our cats really go crazy on laser toys. A laser toy is a laser dot (usually red) that you can move around through the room. Cats (but dogs just as well) will go nuts trying to catch the red dot throughout the room. The Petcube Play offers also a laser toy that you can control using your mobile phone application. You will see what the 1080p camera sees on your screen and where you put your finger the laser pointer will move. This will give you optimal control over the laser gaming toy with your cat and it is strangely interactive while you are perhaps miles and miles away from them. With the more recent updates of the app and Petcube, it is now also possible to switch the automatic laser toy play mode on, which will move the laser pointer toy automatically without your control in a certain pattern, making it more stable and followable for your pet. The Petcube Play starts recording as soon as there was detected a change in motion or sound. That way you do not have to watch hours of still images. The videos are stored on remote servers and remain accessible through the app, even when the Petcube Play goes offline. The PetCube Play utilizes the new USB-C type of cable that more and more devices use standard. The cable coming with the device is at 2.7m in length which gives a good amount of room for placement, but one can always get a different sized cable to make even better placelement possible. Q: Is There a Web App Available? A: The Petcube Play has no web app or PC app available. You can control the device through the App for both Android and iOS (iPhone, iPad). Q: Does it work on Android? A: Many users have said that the App for Android is worse in quality than the iOS version. That said, the Petcube Play has an app on either store and do update it regularly. It might or might not work based on the versions and the different devices. Q: Can you have multiple petcube’s connected to your app? A: yes, since the June 2017 update you can have multiple petcube’s connected and controlled through your app. Excellent solution for multiple camera’s in different rooms of your house where your pets reside. Q: Can the PetCube Play be used outside? A: The Petcube Play was designed for indoor use only and is not water and weather proof. Q: Can I share my Petcube Play To Others? A: You can share your Petcube Play to friends, family or the general public (Petcube App users). The device is by default set to NOT SHARE anything. You can set time frames where sharing is enabled or disabled. Every family member needs their own Petcube App account for that functionality. Alternatively you can set up multiple devices with the same app username/password. Q: How Secure Is The Petcube Play? A: Top Security is at the top of the list. All devices are standard set to not allow any form of sharing. The device communicates with the app and servers through a 128bit SSL encrypted connection and there are a number of other security measures in place to prevent unauthorized access and misuse of personal audiovisual feeds. Q: Does It Work With Alexa? A: Yes, you can command the Petcube Play to do actions for you through Alexa. The Petcube Play offers two way communication with your pet and a 1080p HD view of your pets at home. The Petcube Play has a motion sensor controlled recording feature that keeps track of your pets even when you are not watching your app. What makes the Petcube Play stand out from the many other IP camera’s for pets is that you can interact and play with a laser pointer toy while seeing your pets in the room. It even has a automatic play option. The Petcube Play also offers good quality night vision for darkened rooms, whether it is night or whether you closed the curtains, it will give a clear image of the pet and its surroundings. You no longer need to be worried about your pets back at home, as you can gain access to the camera any time of the day and see recordings back from things that happened while you weren’t checking and you can finally interact with your pet through play and voice at any time of the day. I am currently in my office and the only concern i have most of the time is about my dog who is alone at home. From a long time i was looking for something like this so that i can make sure my dog is alright at home, By its night vision, 2 way audio system and other features i can know where is he, what is he doing, can call him, use the laser when he is dull etc. I genuinely think it is a very useful gadget for all pet owners for when you are outside and your fluffy buddy is home alone. I am surely looking forward for buying this. Once i use it for some time, i will also share my experience here. Thanks for your comment. I am glad to have helped you out in choosing the right product. This product is perfect for those having a dog alone at home. Now you can check up on your dog and see what he is doing while you are away. Now you will be able to find out who is making the mess or stealing the sausages from the fridge! You are welcome to come back any time to share your experiences here. What a great camera! My wife and I have been thinking about getting such a camera for our house when we are away. We have 2 cats and 1 dog. The dog suffers from anxiety issues, so we want to be able to remotely check in as we start leaving her to have the run of our home while we are away. I think the laser toy would be more than our dog could handle, but otherwise, I really like this camera. How much does it cost? Is there a version without the laser toy? 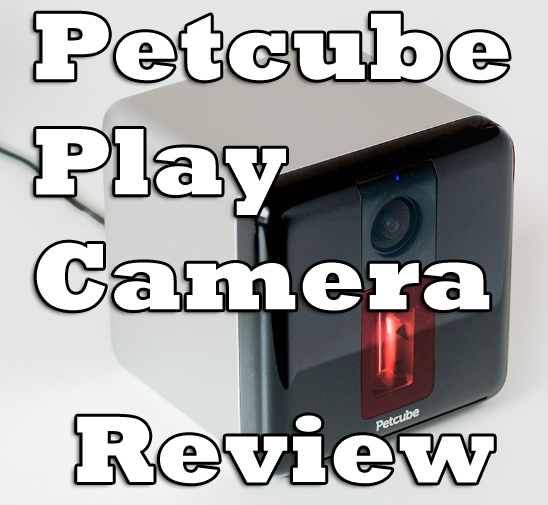 I think your review has finally nudged us into buying a pet camera! Thanks! Thanks for commenting on my review! Yeah I love this camera, it gives me a great image for watching my cats at home while I am at work or on a short weekend trip. Sorry to hear that your dog suffers anxiety. While the pet cube play has a laser, you do not need to use the laser toy to see or interact with your dog. You can just use the camera to check your dog out. Otherwise I would suggest to go for something like the Petcube Bites, which can deliver treats rather than a laser pointer. A similar product by another manufacturer is called Furbo Dog Camera. Both systems are very well used by a lot of people and work well with their dogs (or cats, since you could also put cat treats in the machines). There are many camera’s for checking out your pets. Another great camera could be this baby camera which works fine for pets as well and is easy to setup: TENVIS HD IP Camera. Perhaps you should just check out the pet camera page on Amazon and make a decision there. Glad to have helped you out! All the best!